A leader in environmental legal education since 1979, Tulane offers the opportunity to study environmental and energy law in a dynamic natural, economic and political setting. South Louisiana and the Gulf Coast region provide special opportunities to study and participate in a wide range of front-edge issues in resource management, environmental protection and energy regulation and development. We are located at the hub of the largest river system in America, its most productive coastal wetlands, its most abundant fisheries and migratory waterfowl, its most extensive navigation system, its most active offshore oil development, a diversifying energy production portfolio, and its largest petrochemical complex, all of which present challenging tradeoffs. Tulane students are involved in these issues and more through classwork, directed research, journals, clinical practice, institutes, conferences, fellowships, and clerkships and experiential learning with local firms, NGOs and government agencies. Many career paths follow. The City of New Orleans adds its own unique environment, rich in historic districts, greenspace, and a functioning system of ferries, streetcars, and neutral grounds. Natural and architectural resources lie within minutes of Tulane Law School in any direction, as do legal challenges to their protection and restoration. In addition to centuries-old traditions, the city has become a proving ground for concepts of sustainable architecture and urban and water management planning. Tulane’s energy & environmental law curriculum offers a broad range of experiences, from theoretical and statutory courses and seminars to live client practice. Tulane is one of a relatively small number of national law schools offering a Certificate of Concentration in Energy & Environmental Law for JD students and the LLM in Energy & Environment for graduate students. 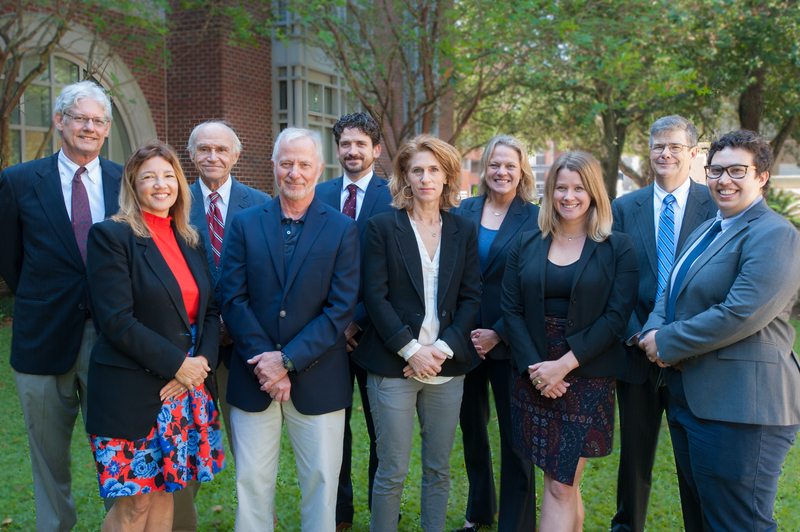 Tulane also houses the Tulane Environmental Law Clinic, one of the country's largest faculty-supervised environmental law clinical programs, in which students take legal action on behalf of their clients to protect public health and natural resources. The Tulane Center for Environmental Law promotes programs that serve students, faculty, staff, alumni, and the community at large. It is also a portal for interdisciplinary collaborations and broader engagement with the bar and institutions beyond the walls of the law school to create a stimulating environment for teaching, learning and service. The Tulane Center for Energy Law is actively participating in creating solutions to various questions prompted by the energy transition. Its staff cooperates with other leading universities and international organisations in creating new knowledge and new innovative solutions for the challenges the energy industry, its regulators and other actors are facing today. The Tulane Institute on Water Resources Law & Policy serves as a center for examination of critical issues and provides Tulane law students with meaningful opportunities for involvement in environmental policy-making. Since 1996, the Law School has hosted the Tulane Law School Summit on Environmental Law & Policy, a nationwide, entirely student-run and not-for-profit conference that draws together private and public interest lawyers, scientists, community activists, and public citizens to discuss new and emerging issues. The Environmental & Energy Law Society provides a forum for connecting students to local, state and national players, and arranging guest lectures, outings, newsletters and other hands-on activities. The Tulane Environmental Law Journal selects, edits and publishes scholarly articles analyzing an eclectic range of environment-related issues through bi-annual general and topic-specific volumes. Tulane's Public Interest Law Foundation funds summer grants for students working in public interest positions, many in environmental law.